Weddings are among the most special events of our lives and we go well beyond ourselves to get everything right for the day. There are, however, a few things that last long after the event itself has passed and it's important to get those right. Weddings bands are like that. At Lila's we have a comprehensive consultation when it comes to choosing your rings, so we make sure you are happy with your choice. We all sit down, discuss the different options, you can browse through the rings in stock and try out our wedding band samples. All wedding bands are made specially to order in the UK either from recycled metal (gold, silver, platinum) or Fairtrade Fairmined metal. Classic wedding bands are the most popular ones as their simplicity makes them loved for life, regardless of trends and age, and a lot easier to match against other types of jewellery or outfits. Here’s what we usually consider when choosing a band. At Lila’s we can make bands out of silver, palladium, 9ct gold, 18ct gold and platinum. 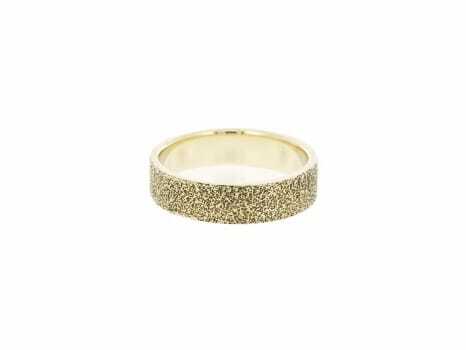 All bands are made to order in UK either from recycled or Fairtrade Fairmined Gold. Silver is much appreciated for everyday trendy jewellery, but when it comes to wedding bands we tend not to recommend it as it is very soft. Silver bands don’t keep their shape and they get worn long before the “till death do us part”. So, unless you’re budget constricted, go for any of the other metals, particularly 9ct gold, which for a bit more money will last longer and look better in time. 9ct gold is an alloy that contains 37.5% fine gold. Depending on the other metals in the composition, it can have different colours: yellow, white, rose. 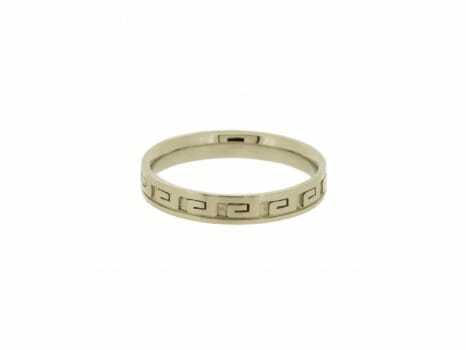 9ct gold is a very popular choice for wedding bands as it offers a durable and long lasting material, in a variety of colours on a reasonable budget. 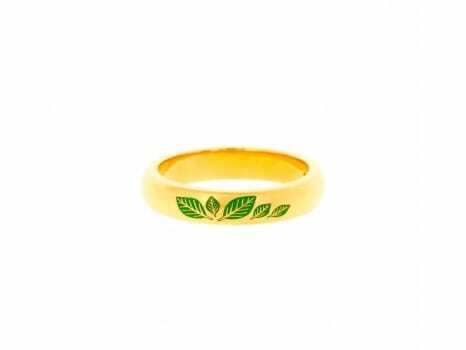 18ct gold is an alloy that contains 75% fine gold, hence is more expensive, but also a bit softer. 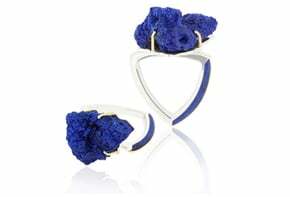 Contrary to common belief that it is less durable than 9ct, 18ct gold jewellery actually wears better because it bends instead of breaking, not to mention it is less prone to causing allergies and ages better. It’s definitely the choice if you prefer a ring in yellow or rose tones. 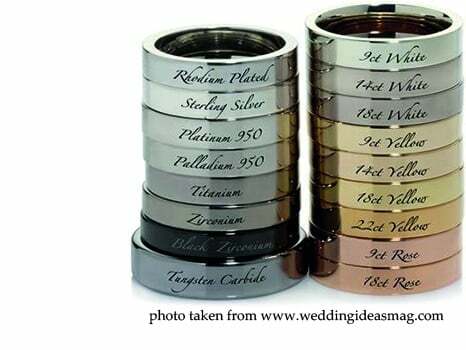 Our 18ct white gold weddings bands also have a higher than usual content of the precious metal palladium. This gives them a naturally white appearance and negates the need for rhodium plating over the years. Palladium is a metal of the platinum group, it is naturally lustrous and silvery-white, so it doesn’t need plating as white gold does. It is very similar to platinum, only more affordable, and has increasingly become more popular for the use in jewellery. Also like platinum, it is hypoallergenic and develops a patina over time. Platinum is the ultimate choice when it comes to jewellery due to its unique properties. Its silvery colour and high lustre have a distinct appeal. Lila’s platinum bands have 95% purity, they are hypoallergenic and they get a patina in time, which you may prefer. Bear in mind this is not a sign of wear, as platinum is a lot more durable than gold. Also, being chemically inert, platinum will not corrode, tarnish, discolour or oxidise. Profile refers to the shape of the band as if you looked at a cross-section of it. There are four profiles we generally use for our bands. The court profile is rounded both on the outside and the inside and it's the most popular shape due to its timeless look and comfortability. The flat court profile is rounded on the inside and straight on the outside, so it provides the comfort of the court band, with a more modern look. We find that some men prefer the feel of this shape, as it feels quite unobtrusive between the fingers. The D-shaped profile is the one you often see with rings, it is a classic profile and can tend to appear slightly more rounded looking than the Court profile. It is domed on the outside with a flat surface on the inside. The flat profile is straight on both sides and it's preferred by those who want an edgy look as it looks great with a brushed or matt finish. Our wedding bands are usually between 2mm and 6mm wide, but should you wish to have your band wider or narrower than this, we can certainly accommodate your wishes. Ladies often prefer the 2mm– 3mm width, while the 4mm-5mm range is regularly the choice for the gents. The advantage of having an in-store consultation is that you can try out the samples and see what is the most appealing and comfortable width for you. All of the above factors are quite straightforward to choose once you've seen the samples and tried them on. With size, however, you need a bit of time and careful consideration and although there are different sizing guides like this one, we highly recommend that you come to our store and have your fingers measured by one of our specialists. Size can vary quite a bit depending on the width of the band (the wider the band, the bigger the size), the position of the ring on the finger (if you wear it next to the engagement ring, either under or above) or the particularities of your finger's shape (knuckles or no knuckles). 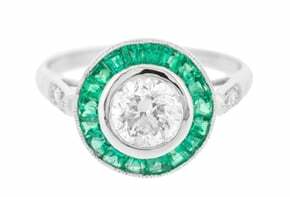 For an international ring size conversion chart, click here. The finish is the outer texture of the band and there are quite a few options. 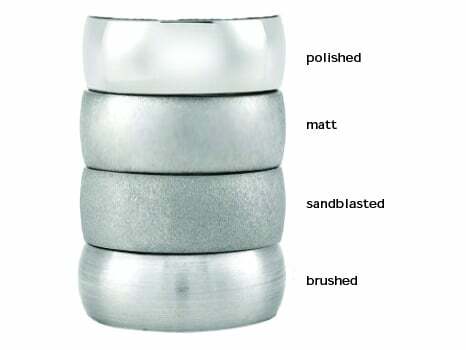 We usually provide the wedding bands in these four main finishes: the high polish, the matt, the sandblasted and the brushed, but we can provide alternatives such as hammered or reticulated. Bear in mind that finishes such as the sandblasted one look great, but they tend to wear quite quickly or attract dirt and you should get it cleaned quite often or have the finish redone periodically. If you wear the wedding band against the engagement ring it is advisable you stick to the same metal for both rings. The tougher metal will erode the softer one, which in time will damage. We have seen numerous gold rings with claws completely damaged because of the platinum wedding bands that were worn next to them. Consider if you’d like any stones set in the band, how many and what size. Another simple way to make a band more distinct is to add a groove or two. And there is always the option of personalising your band with an engraving, a sweet message or maybe just the date of that special day. Also, if you think the standard bands are not really an option for your creative soul, then take a look at our bespoke service and give us a call. We like a good challenge! Below, there are just a few bespoke wedding bands we've made.